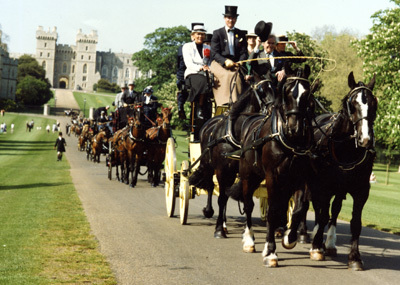 David Saunders offers comprehensive training in all aspects of carriage driving. He can handle and train you in all different rein techniques including the English handling method, the Achenbach system, the Hungarian system and the Carriage Driving Event system. Driving single, pair, tandem, random, unicorn, four-in-hand, five-in-hand and six-in-hand, David can manage them all!